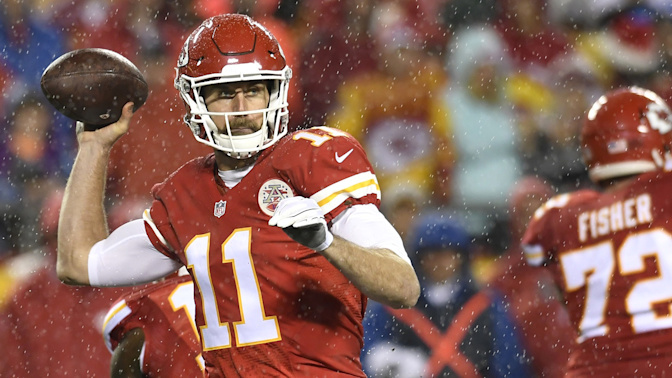 The ice storm due to hit Kansas City on Sunday must be bad, because the NFL has taken the rare step of moving the kickoff time of a playoff game. Citing “public safety concerns,” the NFL moved kickoff of the Pittsburgh Steelers-Kansas City Chiefs AFC divisional playoff game at Arrowhead Stadium in Kansas City, originally scheduled for 1:05 p.m. ET Sunday, to 8:20 p.m. ET. That’s due to storms expected in the Kansas City area on Sunday. Kickoff of the Chiefs’ home playoff game Sunday was moved to 8:20 p.m. ET. The National Weather Service put out an ice storm warning for northwestern Missouri on Friday. The NFL has played through some harsh weather conditions before, in both the regular season and the playoffs, so it’s surprising the NFL would move the start time for this game back. There are plenty of factors to consider, such as the network programming, but the NFL said it consulted with local and state authorities, as well as both teams, in making the decision.